The Rebel Records are very pleased to present The Grind Party! 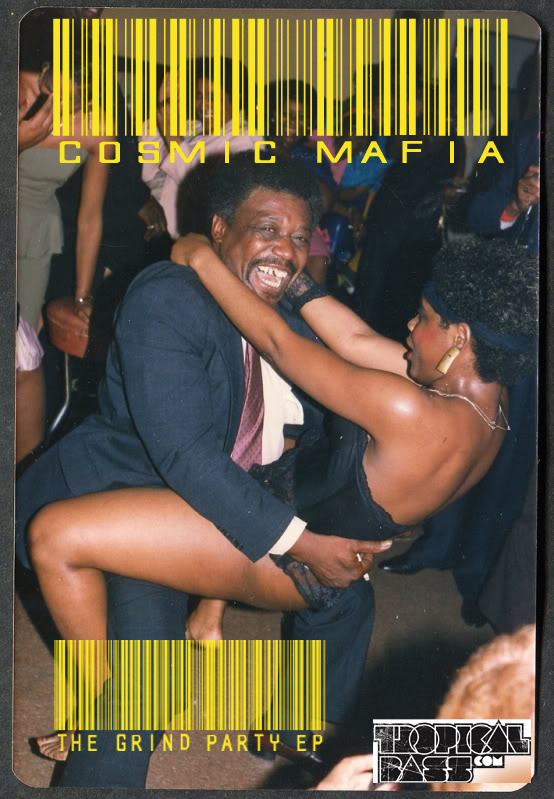 A very filthy moombahcore EP made by Cosmic Mafia who are part of the new generation of moombahtonistas who prefer to develop a strict Moombahcore filled with nasty basslines, This release can be seen as a daggering aimed core. This is a release aimed also for DJs who like Dancehall & Moombah!!! Each track starts with a very defined CUE and then a drop to develop the tune, which helps a lot in the booth!! See how the girls get dirtier and the dancefloor sets itself on fire, to become a regular party into A GRIND PARY! Second reason, is the fact this whole EP presents Moombahcore in a very strict/experimental approach. If you remember Aphex Twin’s Come to Daddy era.. well this EP will make you travel thru the darkest area of the moombahcore without losing the “ton” flavor. That is a rare equilibrium, that few people reach. And when they DO.. it is a MUST SHARE! can you reup this again, just discovered this project, and is awesome, but this file is down now.